We review the EVGA GTX 1070 Ti SC Black Edition and Nvidia's GeForce GTX 1070 Ti Founders Edition vs. Radeon Vega. Should I buy the GeForce GTX 1070 Ti? This GeForce GTX 1070 Ti review probably exists only because AMD’s Radeon Vega 56 exists. Nvidia’s GTX-10 series debuted nearly a year and a half ago with the launch of the GeForce GTX 1070 and GTX 1080 in May, 2016. 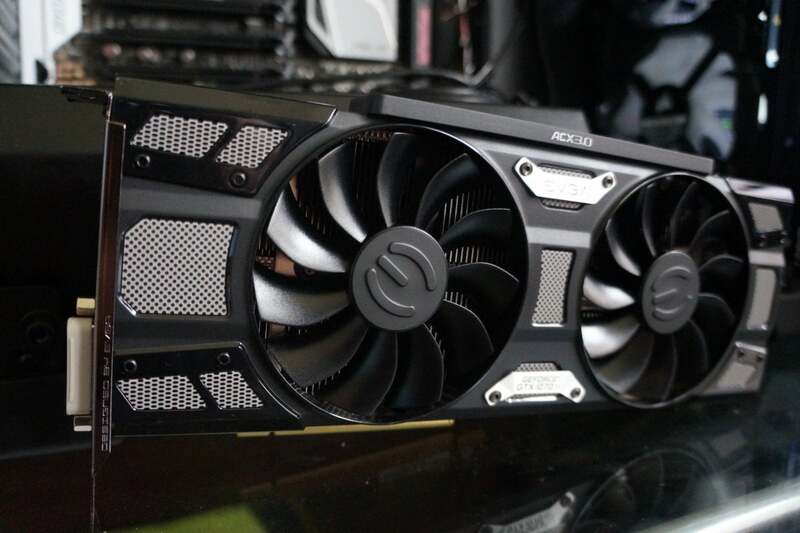 The more powerful card received price cuts since then—to $500, theoretically—but we never heard a whisper about a GeForce GTX 1070 Ti designed to slot between the two. Until AMD’s Radeon RX Vega graphics cards launched. The disappointing Vega 64 ran hot and loud while failing to best the GTX 1080. But the (theoretically) $400 Radeon Vega 56 proved much more appealing—and its performance outpunches the GTX 1070 in many games. Surprise! Two months later the $450 GeForce GTX 1070 Ti appears, at a price just below what the $470 Vega 56 is actually selling for on the street. But the quest to beat AMD puts the new hardware uncomfortably close to the GTX 1080—and Nvidia surprisingly restricted the card’s clock speeds to keep the GTX 1070 Ti from cannibalizing its bigger sibling. Well, kind of. Find out all in our Nvidia GeForce GTX 1070 Ti Founders Edition ($450 on Nvidia) and EVGA GTX 1070 Ti SC Black Edition ($470 on Amazon) review. The EVGA GTX 1070 Ti SC Black Edition. The only truly surprising technical feature of the GeForce GTX 1070 Ti is how little Nvidia pared down its year-and-a-half-old “GP104” GPU compared to the GTX 1080. The full version of GP104 inside the GTX 1080 consists of 20 streaming multiprocessors (SMs) with 2,560 CUDA cores, while the GTX 1070 Ti’s chip has 19 SMs and a whopping 2,432 CUDA cores active. By comparison, the base GTX 1070 packs 15 SMs and just 1,920 CUDA cores. The GTX 1070 Ti’s clock speeds swipe aspects from both sides. Nvidia’s new graphics card ships with a 1,607MHz base clock and 1,683MHz boost clock. By comparison, the GTX 1070 clocks at 1,506/1,683MHz, and the GTX 1080 hums along at 1,607/1,733MHz—at least on paper. In reality, Nvidia’s GPU Boost 3 technology runs these cards as fast as they’ll go while staying within optimal heat and power limits, especially in custom cards with powerful cooling solutions. But there’s an interesting twist to custom GTX 1070 Ti cards, which we’ll get into when we look at EVGA’s GTX 1070 Ti Black Edition in just a bit. 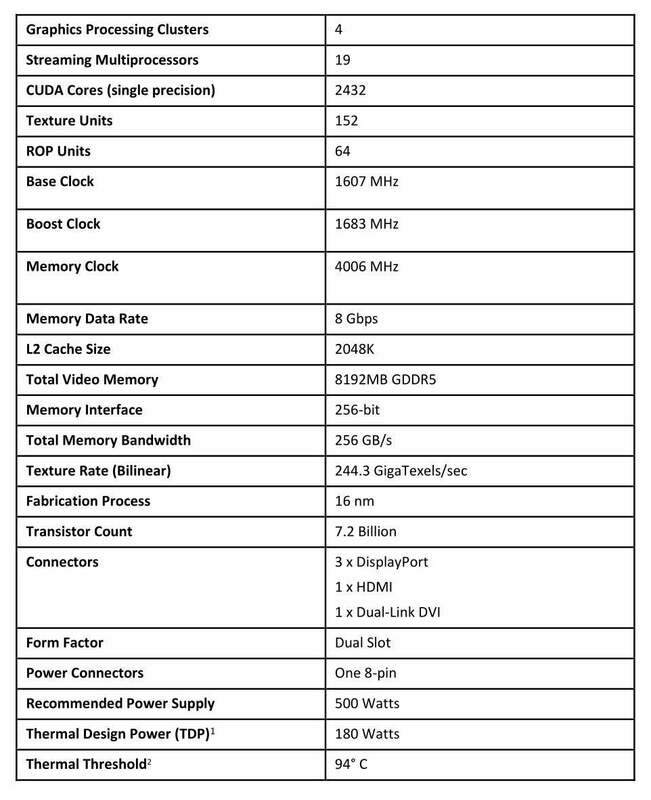 The GeForce GTX 1070 Ti's tech specs. 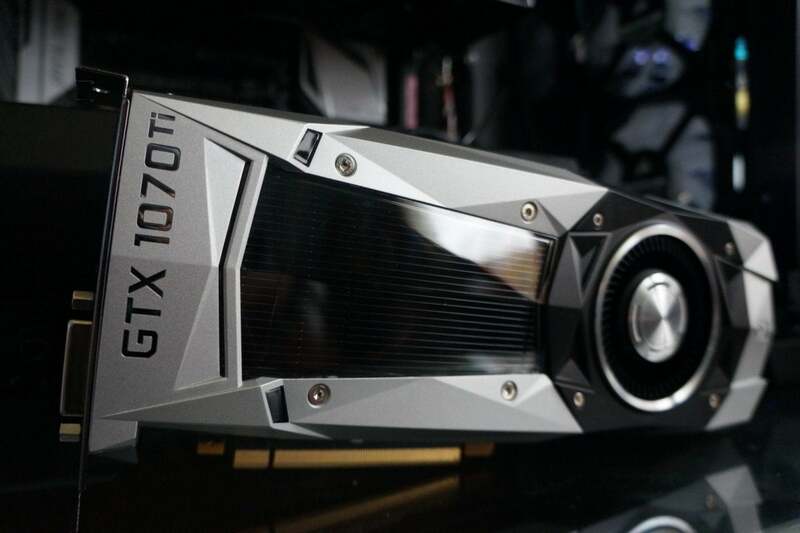 Nvidia built the GTX 1070 Ti Founders Edition to overclock well, despite some (slightly) misguided early rumors that suggested clock speeds would be locked down. It’s equipped with the same vapor chamber cooler and five-phase dual-FET power design as the GTX 1080 has, both of which aren’t found in the GTX 1070 vanilla. But the GTX 1070 Ti’s memory subsystem mirrors the baseline GTX 1070's, ditching the GTX 1080’s speedy GDDR5X memory for standard GDDR5 VRAM over a 256-bit bus. Like the vanilla version, the GTX 1070 Ti offers 256GBps of overall memory bandwidth, versus the GTX 1080’s 320GBps. The Founders Edition card draws its 180W TDP through a single 8-pin power connector, and sports three DisplayPorts, an HDMI 2.0b port, and a dual-link DVI connection. The GTX 1070 Ti also supports Nvidia’s GeForce Experience software, including GFE’s stellar Ansel and ShadowPlay Highlights tools—features that actively makes your gaming experience more fun. Nvidia's GTX 1070 Ti Founders Edition is a good card turned great in a graphics card market upset by cryptocurrency miners and wild prices. The GTX 1070 Ti SC Black Edition runs quieter and far cooler than reference models, and EVGA's Precision XOC software overclocks your card with minimal hassle or no-how needed.